It's SHARK WEEK! For those who love celebrating this fun fishy week, we've compiled four great party ideas for your next pool party. 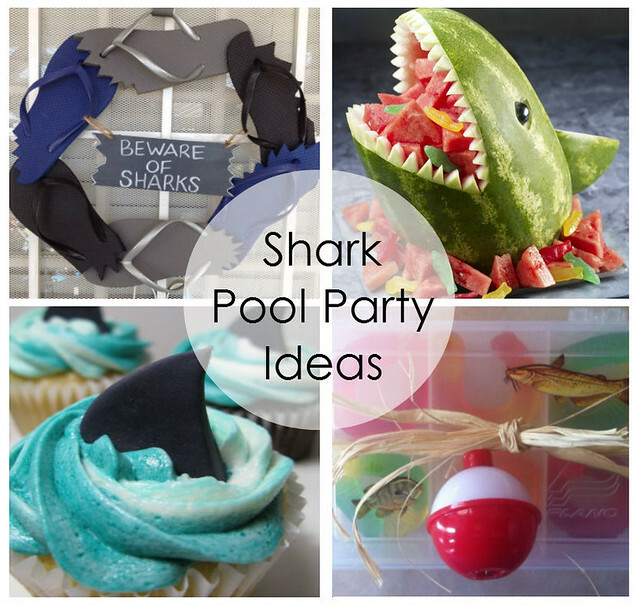 These ideas are great for planning a shark pool party for your son if they love sea creatures and especially sharks. With the summer coming to a close, it's a great time to get in the final swim before the fall (and school!) begins. Our invitation inspiration comes for this Itty Bitty shark invitation. We love the swim shorts shape and the shark print! Invite guests to come swim with sharks and host a fun summer shark pool party. For more great party ideas, visit us our Pinterest page!